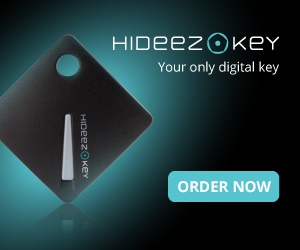 This Gadget is unique because its has great concept of Bluetooth ring which has designed by Victor Solo. 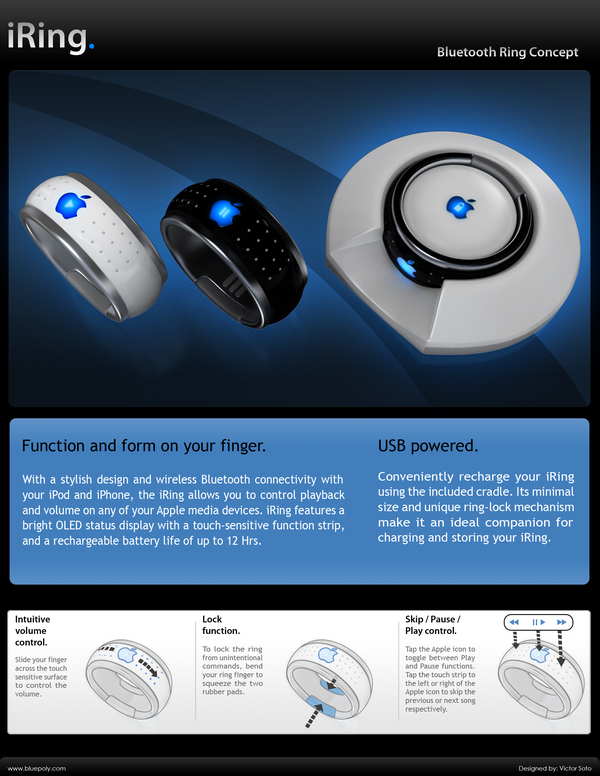 This ring connectivity with wireless bluetooth of your ipad and iphone. 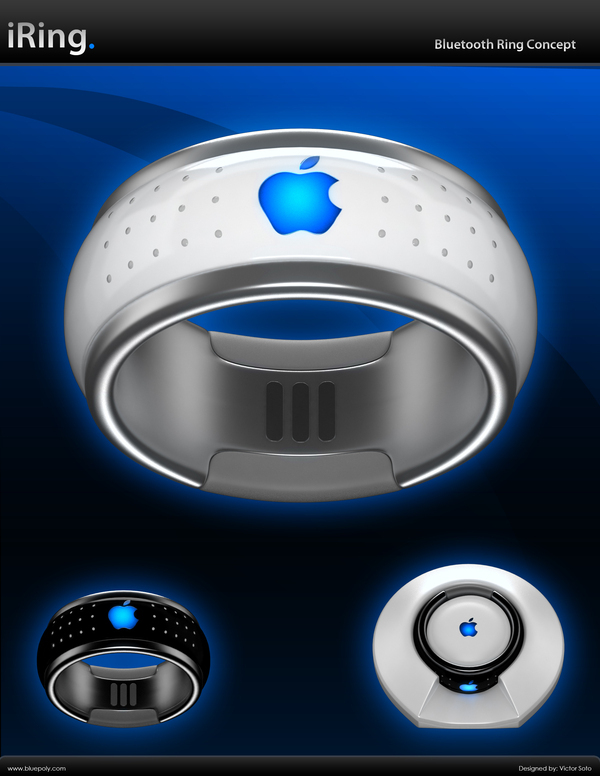 After connected you can play songs, volume control up and down, skip music, and with play and pause function controls on the ring. 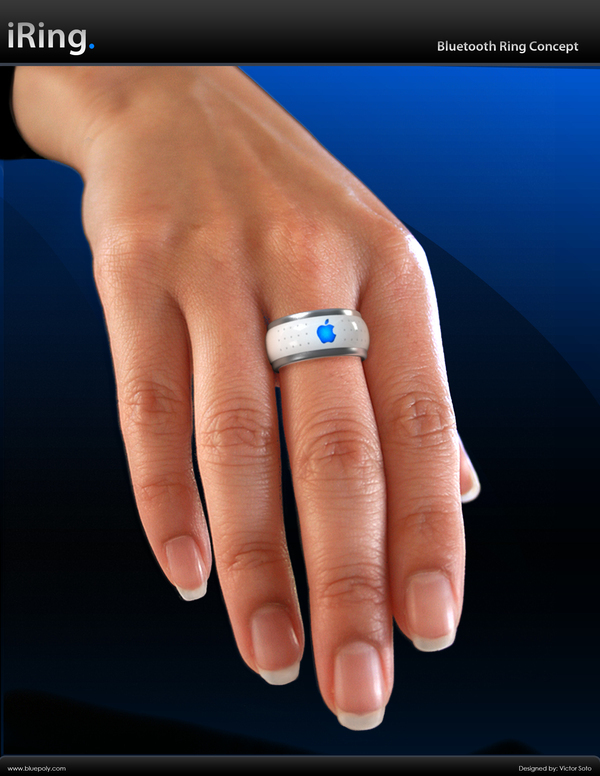 iRing features as a touch sensitive functions strip.